Making friends. Having fun. Unique experiences. Lasting memories. These are the images that spring to mind when people think of summer camp. Most kids are thrilled to attend a summer camp with a theme that matches their interests. For youth who are shy, this can also be a valuable opportunity for them to open up and meet other young people with similar interests. Since camp can be such a significant occasion, humane educators should use it as an opportunity to give youth all that summer camp has to offer, while at the same time helping them to learn about important animal protection issues. A camp at a humane society or animal sanctuary is an incredible way for self-proclaimed animal-loving youth to spend their summer and, if executed well, an experience they are sure to remember for a lifetime. No doubt, running a summer camp is an extraordinary amount of work. There are lots of logistics to keep in mind, a tremendous degree of planning and scheduling, safety considerations, and often a need for new or modified content development. But the rewards are certainly worth the effort. In a summer camp setting, you can create the program exactly the way you want to while having a meaningful impact on the youth who attend, because you see them each day for an extended amount of time. They have a chance to immerse themselves in the topics you teach, and to put some of their knowledge into practice. A key component of creating a magical camp atmosphere is relationship-building and helping youth to develop their social and emotional learning. In a camp setting, you are better positioned to encourage youth to share their feelings, practice impulse control, and embrace empathy and perspective-taking. 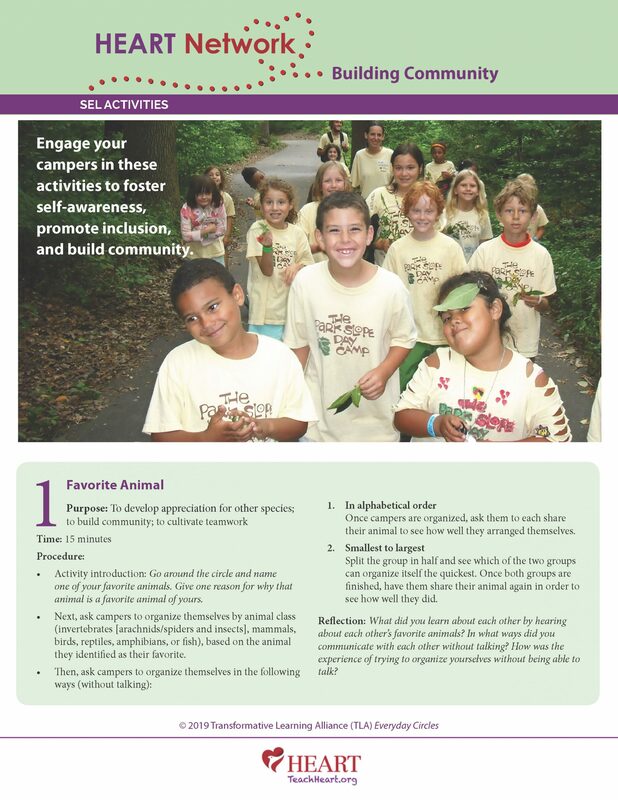 In our Building Community activities download, we provide some simple and engaging theme-related ways to create a culture of inclusion and appreciation among campers. HEART's step-by-step video guide provides everything you need to know about planning and conducting a fun and impactful summer camp. 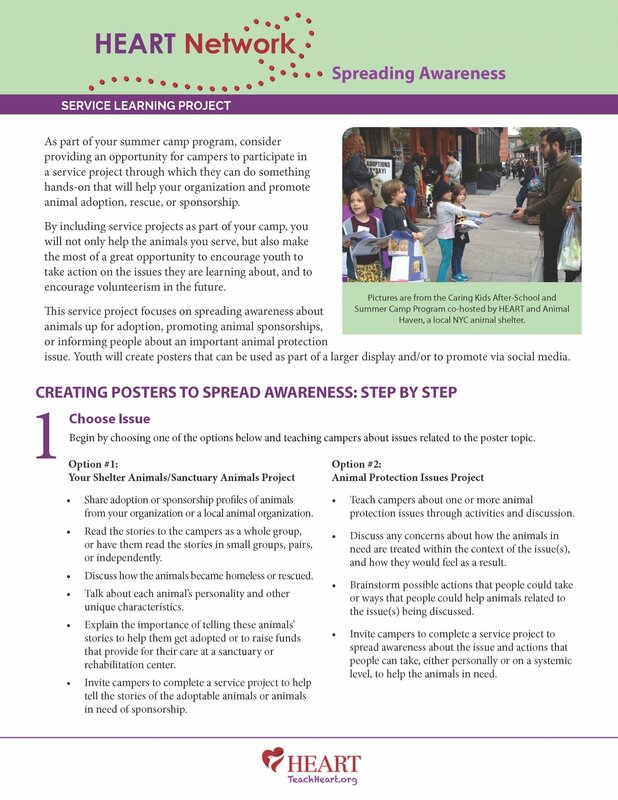 In this service-learning activity, campers make posters to spread awareness about an animal issue. The campers' posters can be exhibited at your organization, used as part of a tabling activity, and/or promoted through social media. 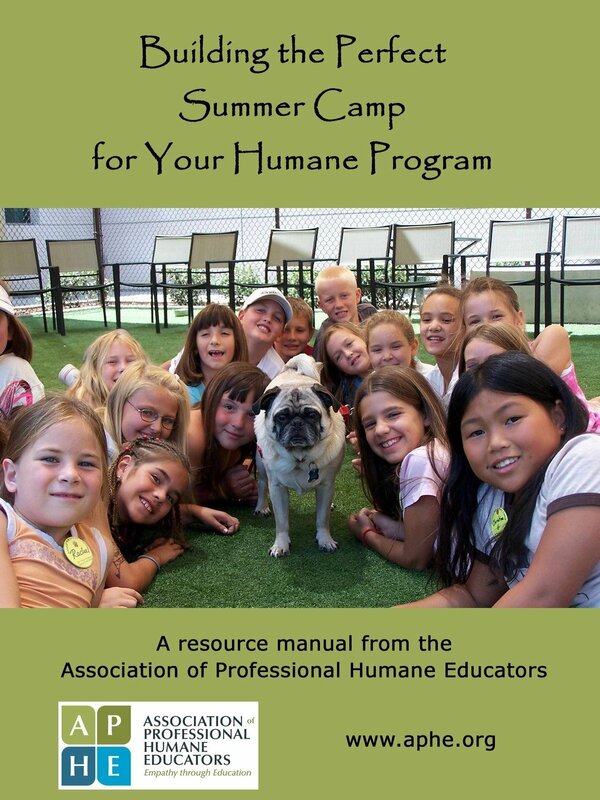 This manual from the Association of Professional Humane Educators guides humane educators through the various considerations of hosting a summer camp and provides all the resources needed to plan camp activities. Campers Learn About Companion, Farm, and Captive Animals! HEART does not receive compensation from third parties for promoting books or other materials, nor do we receive compensation for the purchase of any suggested for-sale materials, unless specifically noted.